Ready for the rest of our history lesson? If you're a rebel and like breaking the rules, than you'll enjoy learning about some of these next few styles! To go along with the summer schedule recently released and the fall schedule coming out soon we've been looking at the history of the different styles of dance. Last week we got a brief overview of ballet and pointe, jazz, and tap. This week weï¿½re learning about modern, contemporary, lyrical, and hip-hop. In the early years of theatrical dance, ballet was the traditional genre. But in the late 19th and early 20th centuries, dancers started to rebel against the strict structure of ballet and the lack of freedom. Isadora Duncan is considered the inventor of modern dance, and she challenged the formality of ballet by dancing barefoot, wearing a simple tunic, keeping her hair down, and letting her movements be guided by gravity and her breathing. 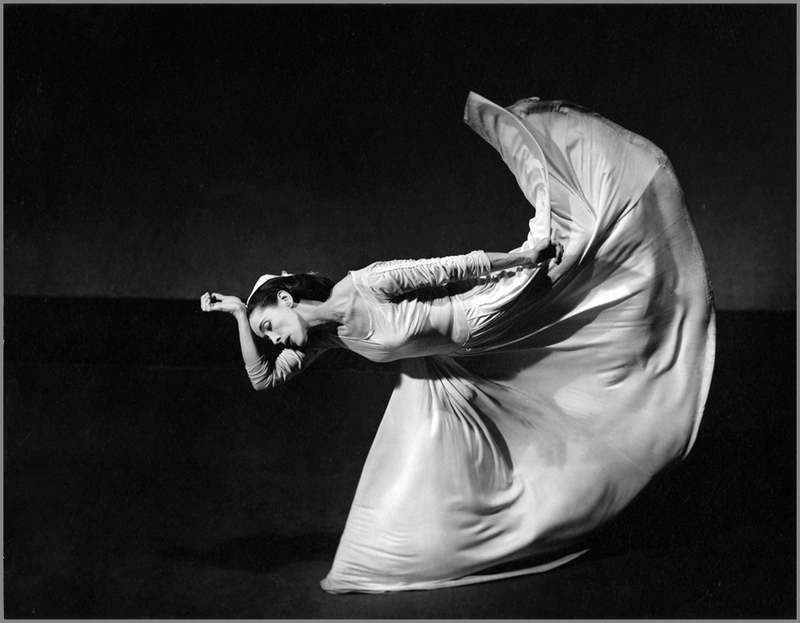 Modern continued to evolve over the next few decades--particularly with the help of Martha Graham, pictured right, and Lester Horton. Under Graham and Horton's influence, modern created new and abstract movements and focused on theatrical elements rather than traditional technique. Contemporary developed in the mid 1900’s as a response to modern. Merce Cunningham, a student of Martha Graham, wanted to have an independent attitude towards dance--neither only ballet or only modern. His choreography borrowed movements from classical ballet, modern, and jazz. He combined ballet’s focus on the strength and technique of the legs with modern’s emphasis on the torso and floorwork, as well as jazz’s expression and improvisation. Today contemporary is still growing and can include movements from many other styles of dance. So really, contemporary is just a hodge-podge of dance styles! Lyrical dance is a fusion of ballet and jazz, developed largely from stage performances such as Cirque du Soleil that combined the classical technique of ballet with storytelling and emotion. The name “lyrical” describes the movements of the lyrical dance style, which are expressive and musical, and it also alludes to the fact that lyrical dances are often performed to songs with lyrics. Lyrical was a dance form by the 1970s, but because of its similarities to ballet and jazz, teachers didn’t know whether to teach it as its own style or just as a version of ballet and jazz. By the 1990s, however, lyrical starting gaining popularity. Today, lyrical is especially popular on tv shows such as “So You Think You Can Dance,” and some notable lyrical choreographers and dancers include Suzi Taylor, Mark Mesimer, and Mia Michaels. Hip-hop is thought to have officially become a dance form in the late 1960’s and early 1970’s. Unlike most other styles, hip-hop is not a studio-derived style. Instead, hip-hop emerged as a street dance--people who didn’t have professional training but did have a natural flair for rhythm and movement brought dancing to the streets without a formal process. Hip-hop does have influences from styles such as modern and tap, but it draws much more from improvisation and a competitive nature. There are many different styles within hip-hop, including “funk styles” such as locking, roboting, boogaloo, and popping. Some famous names within the hip-hop realm would be Michael Jackson, tWitch Boss, and Napoleon and Tabitha D’umo (also known as Nappytabs). This concludes our very brief look at the history of the basic dance styles! If anything, these two blog posts should tell you that pinpointing the exact origins of each genre is nearly impossible, since the styles often overlap and influence each other. And, of course, a quick look at the different styles of dance should (hopefully) interest you in trying something new! What did you think of the histories of modern, contemporary, lyrical, and hip-hop? Are there other styles you would like to learn about? Let us know in the comments below!